When Glu6 contacted me about the possibility of doing a product review for their eco friendly glue, I was really excited. I’ve been searching for a glue alternative for a while without much luck. I was able to test 2 different Glu6 products, the paste and the gel. This review actually took me a lot longer than one of my normal eco product reviews. I wanted to really give Glu6 a good round of testing on a variety of different surfaces and see how it held up over time. Since I don’t normally go through my week happily glueing things, it took some time to find things that I needed to fix or create using glue. In case you’re wondering (I was! ), the “6″ in their product name comes from the recycling number for styrofoam…6. The founders of Glu6 left corporate America to pursue their dream of pursuing a business that would make a positive impact on the environment and thus, Glu6 was born. Glu6 is made from 100% recycled styrofoam sourced from businesses in the San Francisco Bay area. Glu6 does not add unsustainable or toxic ingredients to make their products. 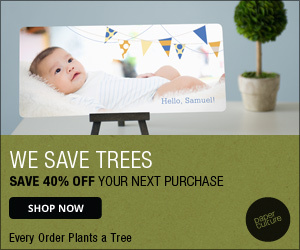 They are 3rd party certified as a non-toxic glue. Each year Americans throw away 25 billion (yes, BILLION) styrofoam cups…the equivalent to 15 Empire State Buildings! And each one of those styrofoam cups will still be in the landfill 500 years from now. I tested the paste out quite a lot. To give a comparison, I would say it’s probably similar in texture to something like rubber cement. Although I’m fairly certain that it won’t roll up into a ball if you paste it on your hands…(like we all did as kids), so don’t try that at home! The eco friendly paste is meant to be used on porous or semi-porous materials. It worked great on an old canvas wrapped frame that I needed to repair. It didn’t work as well on some bows I made for my kids. Those held ok, but needed to be re-glued occasionally. In short, I wouldn’t use the paste for anything fabric related again. I think this is partially b/c I was using the porous glue, but my bows needed to be glued onto non-porous clips. So that was the part that came undone after a period of time. Also, on the super thin fabric bows, the glue was just too much for it and seeped through. I don’t think this is the fault of the glue though, I think I just needed fabric glue or hot glue for that project…but I wanted to test it out anyway. In short…I’m not sure what to do for projects where you want a non-toxic adhesive and need to glue a porous object to a non-porous object. Maybe Glu6 has a plan for this scenario in the works? Hope so! There’s a cure time of 24 hours for any project. I found this to be essential. The times that I tried to use something I had glued earlier than the recommended cure time, were not as successful. I noticed a big difference when I actually left my repairs/crafts alone for the full 24 hours before using. So read the directions and follow them! I tried it both ways for testing purposes. Smells awesome! 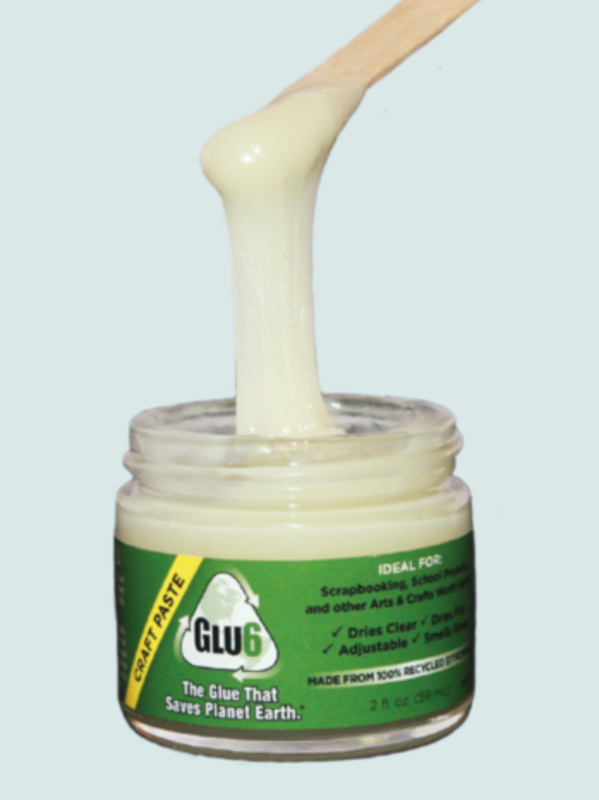 Not that you’d want to be a glue-sniffer, but if you did you’d probably pick Glu6 as your glue of choice. Seriously though, it’s got a nice orange citrus smell that doesn’t stink up your house. Nice change from the toxic glue smells we are used to! One small wooden spreader was included with my jar of the paste. Rather than buy more, I repurposed some old chopsticks that I wasn’t using as alternate spreaders and it was especially useful for glue small areas. Glu6 has now added a brush applicator as an update to the jar that I tested. I also had the chance to review the Glu6 Gel. The product line has since expanded into more specific gels for specific projects. The multi-purpose one that I reviewed is no longer for sale on the website and I noticed that they now have 3 different eco friendly glue gel options, one for tile and ceramics, one for gem and rhinestones and a third one for glass and ceramics. They’ve also recently added a recycled school glue to their product line. I tested the gel on rhinestones for a craft project and it worked great on those. I also used it to make a snow globe project with my kids. For our snow globe, we needed to glue plastic legos to a glass jar, which we then filled with glitter and water and then glued the lid shut. The glue dried clear (which was nice for the bits I messed up on), and it worked great for our snow globe. It lasted for months with lots of shaking and the water never leaked. I was also able to test the gel on several other non-porous small repair items and experienced no issues or problems with the integrity of this non-toxic glue. The Verdict on Glu6 Eco Friendly Adhesive? After a few months of testing Glu6, I am pleased with the results. When my current bottles run out, I‘ll definitely be purchasing more to keep on hand. This will be my new go-to and I’m really happy to have an eco friendly adhesive alternative. My other take away is this…As with any glue, you know that you can’t use one glue for everything. 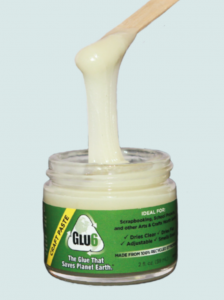 Don’t expect a single bottle of Glu6 to be your one stop shop for adhesives. Use it for what it’s meant to be used for and it makes a solid replacement for your conventional toxic glues. *Disclaimer: As with all of my reviews where I’m asked by another company to review a product, I only agree to do reviews if the company in question is amenable to my completely candid and honest review of their product. I will also only do product reviews that are in alignment with what this blog is all about. If I don’t think a review will help my readers, I won’t do it. The opinions in this post are my own and I was not paid by Glu6 for this post, although I was provided the two samples of eco friendly glue to review. This entry was posted in Going Green Tips, Green Household, product reviews and tagged eco friendly glue, eco friendly paste, non toxic adhesive, non toxic glue by gree8956. Bookmark the permalink.